Home » Articles » Bricking Around » Bricking Around: Pleeeease Lego, give us a ’66 Batmobile! Bricking Around: Pleeeease Lego, give us a ’66 Batmobile! If you visited San Diego Comic Con this summer, you may have been one of the 1000 people lucky enough to nab one of the con-exclusive Batman Classic TV Series Batmobile sets they were selling at the Lego booth. 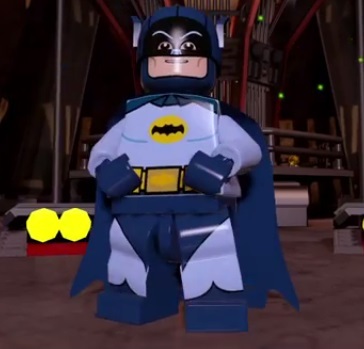 I personally sat at home sulking, because although the aforementioned set has a deliberately ‘chibi’ style, it felt as close as we Lego fans may ever get to a ’66 Batman set from Lego. But my hopes have been raised a little. Below is a picture of the ‘classic’ Batmobile from the forthcoming Lego Batman 3: Beyond Gotham videogame, and although various minifigures have featured in previous games and not been released, we have seen Lego sets based on the games. The ’66 Batmobile, originally built from a Lincoln Futura, is one Lego model that fans are screaming out for. Perhaps that SDCC exclusive was just to whet our appetites? This model sits at roughly 26 studs in length, which is a similar size to the recent Ghostbusters set. That seems a little large for minifig scale, but who cares, because it’s awesome, right? HOLY ABS PLASTIC, BATMAN! Hurry up and make this an actual thing already!